As we now have data showing that trust in institutions, including nonprofits, has fallen, it is more important than ever for board members and nonprofit leaders to pay attention to the culture of their organizations. 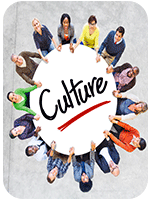 That culture, and in particular, developing a culture of trust, matters as never before. We hope the ideas in this month’s edition provide a springboard for timely and generative conversations at your nonprofit’s board table about its culture. Perhaps your board is grappling with ways to emphasize a culture of respect and accountability that prevents and addresses sexual harassment. Or perhaps your nonprofit is focusing on how to align its team to make a bigger difference for the people your nonprofit serves, which we are referring to as an “impact culture.” Or maybe your organization is concerned about protecting personal information and, therefore, cybersecurity is on its radar. Whether these or other concerns are on your agendas for your board and staff meetings, we’re keeping an eye on trends and assembling resources for you to bring to those discussions. One thing is certain in this uncertain environment: Your nonprofit’s culture matters. Nonprofits employ more than 10 percent of the American workforce, attract more than 60 million volunteers annually, and serve hundreds of millions of people, so it would be naïve to think that the people who work for, serve, and are served by nonprofits are somehow insulated from human faults, including discrimination in all its forms. With the public’s awareness more acutely focused on sexual harassment for the first time since Anita Hill, now’s the right time for every nonprofit to take a look at its policies and procedures, and recommit to preventing, and as needed, investigating and addressing sexual harassment. You’ve probably asked yourself how your nonprofit would react if an employee raised concerns about sexual harassment. Since illegal harassment and retaliation can take place in any nonprofit workplace, or in any board room, and because the nonprofit’s reaction - in real time, not as a hypothetical case study - is so important, we’ve added new resources to our website about sexual harassment that are especially tailored for nonprofits. 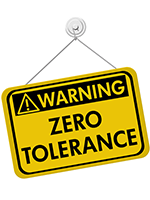 We’ve also posted a blog that addresses blunders to avoid when responding to allegations and a personal story from a colleague that underscores the importance of workplace culture. What Drives Your Nonprofit’s Culture? As nonprofit leaders we hear a lot of “SHOULDs” and a few MUSTs, such as, “We must make data-driven decisions!” Having someone from the outside impose those “shoulds” and “musts” doesn’t feel very good, even if they make sense. Instead, what if we developed a culture for our nonprofit that is so compelling that all the “shoulds” and “musts” become firmly aligned with the mission and energize us toward continuous improvement? Wouldn’t that feel better? Especially when we know it will help us better advance our missions? And what if every board member, staff member, and volunteer could recite what the organization has achieved and why it's important to the community and the greater good? Wouldn’t that help with fundraising, friend-raising, recruiting board members, and advocating to advance the mission? The capacity to fully align with the nonprofit’s impact is what some refer to as the performance imperative, or embracing an “impact culture.” Are you looking for ways to build an impact culture without going bonkers with data collection for data collection’s sake? Here’s more on this concept from a blog we admire: Do you have an impact culture? An organizational checklist to up your game. And yes, there is a handy checklist. Thank you, Social Impact Architects for creating this easy-to-digest, downloadable Organizational Checklist for an Impact Culture. 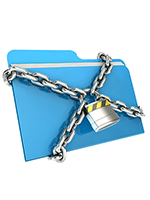 How Secure Is Your Nonprofit’s Cyber Culture? Cybersecurity issues continue to dominate the headlines - even placing #3 in our recent article on hot topics for nonprofits in 2018. Regardless of the size of the organization, the sector of an organization (for-profit, government, or nonprofit), or how much “sensitive” data the organization collects, cybersecurity can no longer be ignored or seen as a luxury. For even a small nonprofit organization, having its website or donor database hacked can cause irreparable harm. For that reason, we encourage you to help the broader nonprofit community create a baseline of understanding by participating in this cybersecurity survey from Threat Sketch. Our hope is that the data will be useful to assess nonprofit cybersecurity vulnerabilities and identify solutions that are affordable and effective, as well as help nonprofits make the case for funding this necessary infrastructure investment.